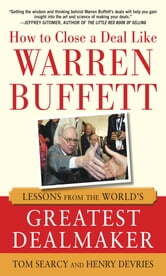 Warren Buffett didn't become the world's third wealthiest individual on his investing instincts alone. Buffett is a master dealmaker. In fact, one of his greatest single successes came when he closed multiple deals to own 100 percent of the Government Employees Insurance Company--also known as GEICO. Warren Way #99. Be honest in your deal making. Searcy and DeVries round it all out with an abundance of their own expertise--approaches that, added up, have generated billions of dollars in new sales. 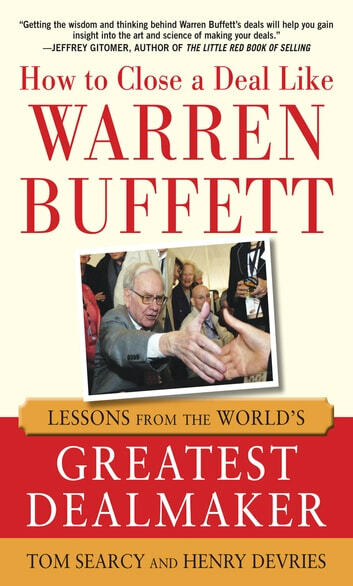 Take the advice in this hands-on guide and learn How to Close a Deal Like Warren Buffett. How to Close a Deal Like Warren Buffett reveals the method behind Buffett's near-mythic deal-making prowess. Guaranteed to help you come out on the right side of every deal! How to Become a Millionaire In 36 Months: Your Money Your Future...Do It!- $100 is all You Need!